Real spicy food never fails to reach your expectations and to experience the perfect taste of chilly spice, Indian dishes are the best. As this is the right and best time of the year to buy fresh chillies why not know more about them and probably work up your spice levels. 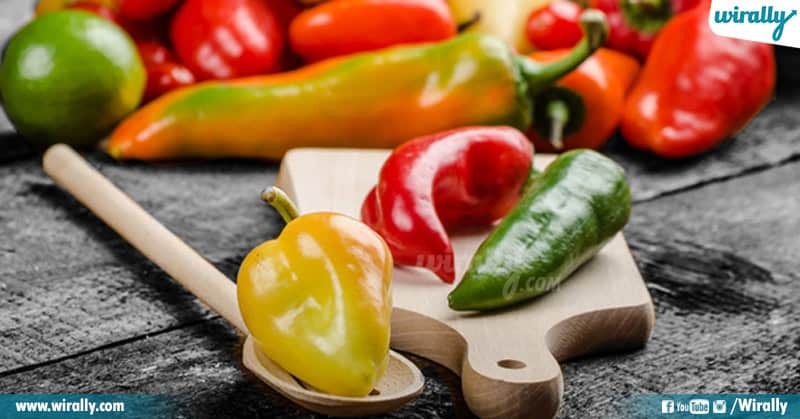 So, here is a list of types of chillies, its origin, and its spice level. 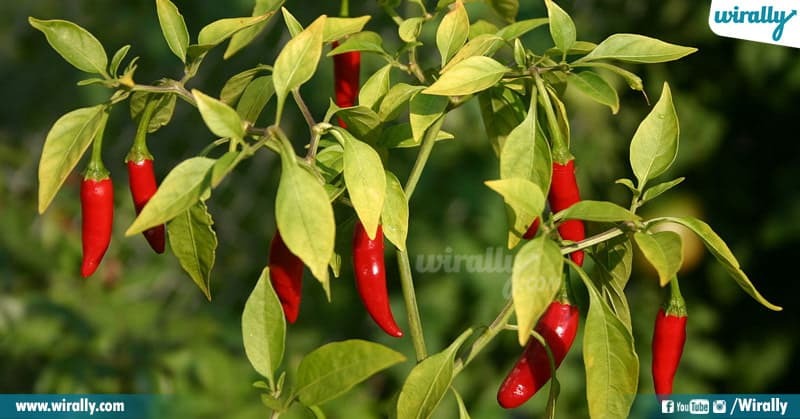 This chilli is known for its red color rather than its spice level. These chillies are mostly used as a powder and are used around the globe which helps to enhance the color of the food i.e. it gives more red color to the food item that not only tastes spicy but also looks spicy. This chilli might not be spicy for everybody but on the SHU scale, it’s barely 2000 that means the spice level is low or mild. The highest measure of spice is 160, 00,000 SHU, this is to show how low the spice level is in this chilli. Andhra food is known for its highly hot and spicy taste and the credits for this goes to Guntur chilli. This chilli has many varieties as it’s not only grown in Andhra but in other parts of the country like Madhya Pradesh. Until and unless one is used to such extreme levels of spiciness or else they will end up getting tears while eating such delicious Andhra food. The name itself tells about the area it’s highly grown in (Guntur). This is one of the most popular chillies across the globe and is exported around 30% of India’s chillies. This chilli is also known as Dhani and is highly grown in the North East side of the country. It looks really small and cute but when it comes to the spice levels it’s extremely the opposite. Dhani is not only used while cooking curries or anything as such but you can make pickles and chutney out of it. P.S: Do not consume it in large quantity, if so keep a tissue and anything sweet ready next to you. This could be one of the hottest chillies you would’ve ever come across. It ranks on top of the hottest chillies in the world. It’s also said that the Indian Army would want to use this as their weapon. 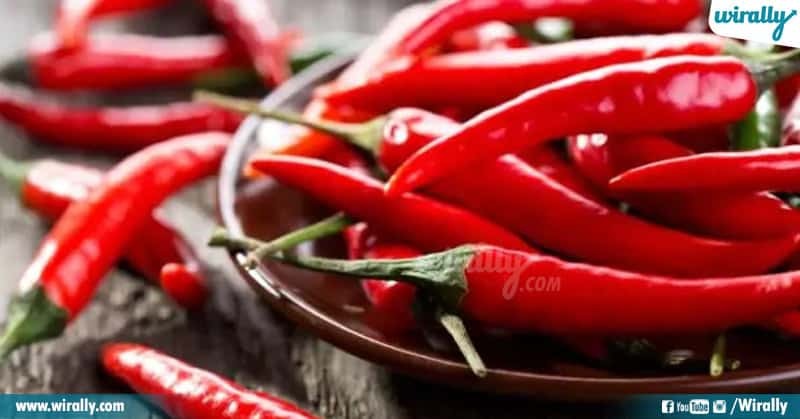 This extremely hot chilly has made people sick, it’s said that after consuming this chilli people have collapsed got stomach cramps, leaky nose, eyes burning, vomiting and also had to take 2 days bed rest to recover. This chilli is mostly grown in Tamil Nadu and Andhra, these are small and round visually and has thin skin. This chilli flavor has a very unique flavor of spice. This is mostly used to enhance the flavor or any dish and the best part is that it’s not really spicy. This green chili is primarily grown in Gujarat but it’s also grown all over the country and is widely used for cooking compared to red chili. Though its green initially, once it matures it turns red in color. They can even be grown at home. It is one of the country’s most important crops. These are the chillies which are grown in Kerala and turn white in color when mature. 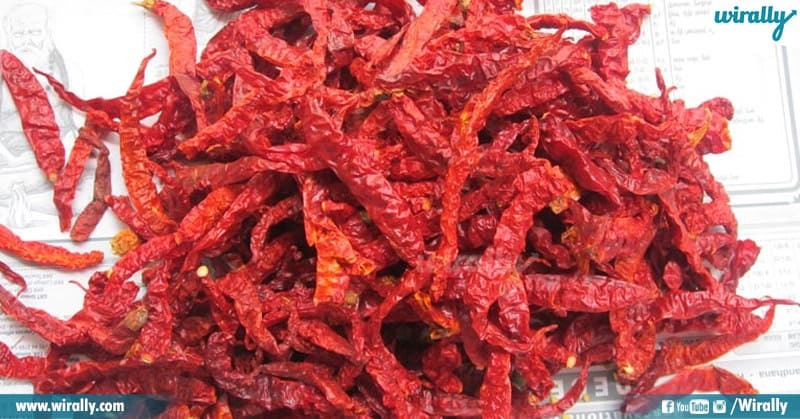 Kanthari chilli is hot in nature and also a good flavor to food items. 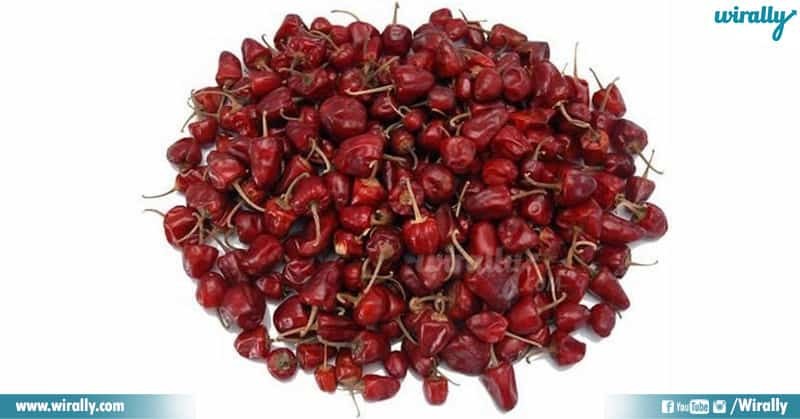 Kanthari chillies are a unique variety of Bird’s Eye Chili. It is a perennial crop. 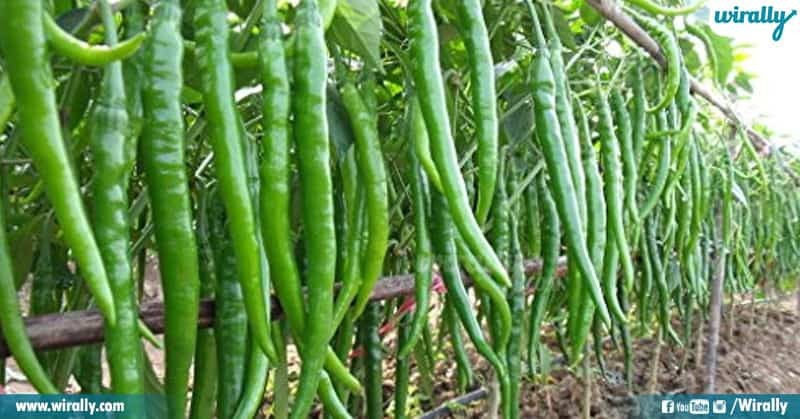 This chilli is primarily grown in Karnataka. Visually it is long and has thin skin, when you dry this chilli it becomes crinkly in appearance. 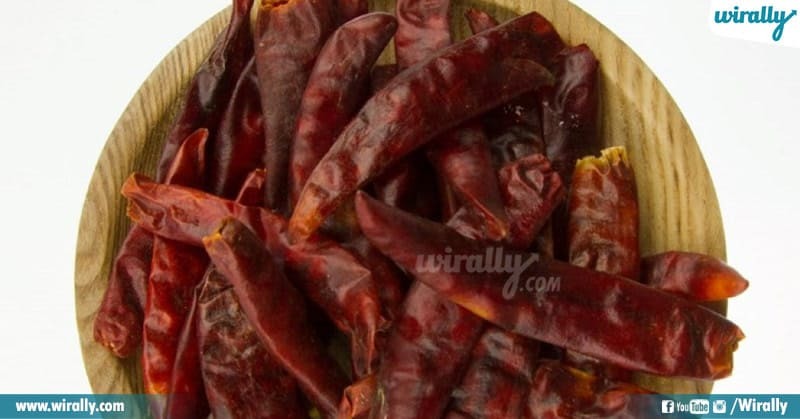 This chilli is mostly known for its color and is consumed all over the country. 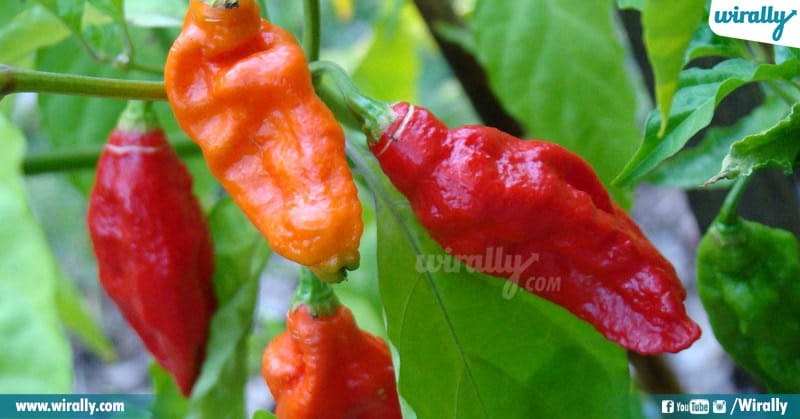 The Byadagi Chilli is similar to Paprika. Here was the list of all the chillies that are grown in India itself and few of these chillies are also exported to other parts of the world. These chillies are the reason why Indian food is known to be spicy. So, buy the best chillies this season and enjoy hot and spicy food in a chilled weather.